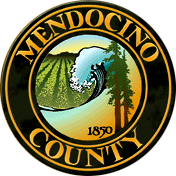 Contact your Mendocino County UCCE Office at 707-463-4495 to find out what clubs and camps are offered in your area. You will have to choose a minimum of one club or camp when you sign up. Create a family profile on 4hOnline. 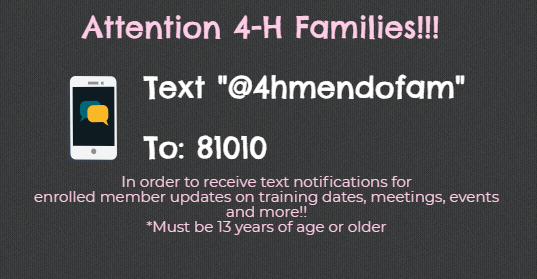 Members are grouped by Family, so you can add all youth family members who want to join 4-H.
*For Spanish: The 4hOnline system is only in English. 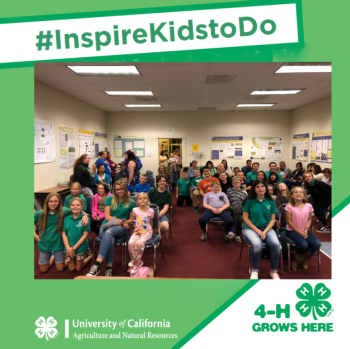 Please fill in the paper packet 2018 2019 Youth Enrollment Form Spanish and turn it in to your Club Leader or UCCE Staff. Submit your program fees ($54) payment to your Club Leader. 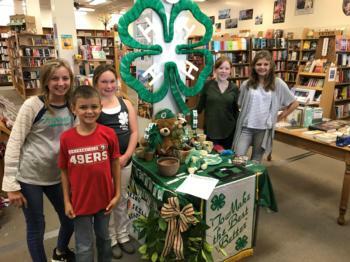 In addition to the State 4-H fees, your county and club may have additional fees, depending on the project(s) you choose.